Top quality A2 stainless steel. 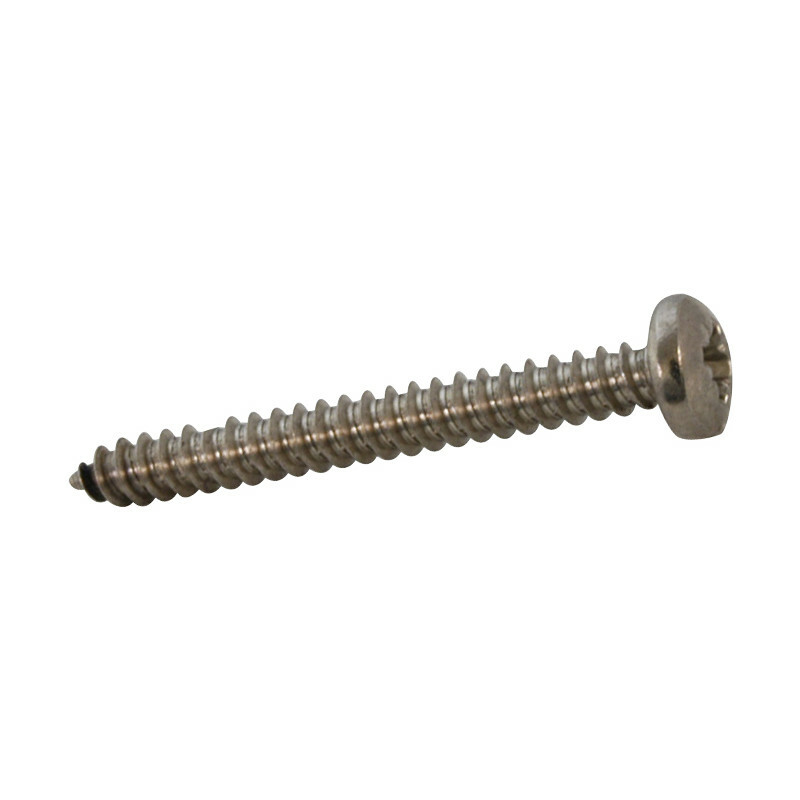 Stainless Self Tapping Pan Head Pozi Screw 1" x 10 (100 Pack) is rated 4.7 out of 5 by 27. Rated 5 out of 5 by Anonymous from Well made, look good. The heads on these are nicely formed and a good snug fit on the driver bit and I didn't get any that rounded off or broke. I did drill pilot holes first though. Rated 5 out of 5 by PhilLlllllllll from Good value Very good at this price and in stock locally. Rated 5 out of 5 by themoudie from Just the job! Purchased for holding plastic mouldings together and do the job no problem. Rated 5 out of 5 by KEFFE from FANTASTIC FIRM TO DEAL WITH I HAVE NO PROBLEMS I BOUGHT THESE SOME WEEKS AGO AND I AM VERY HAPPY WITH THE SERVICE AND THE PRICE.